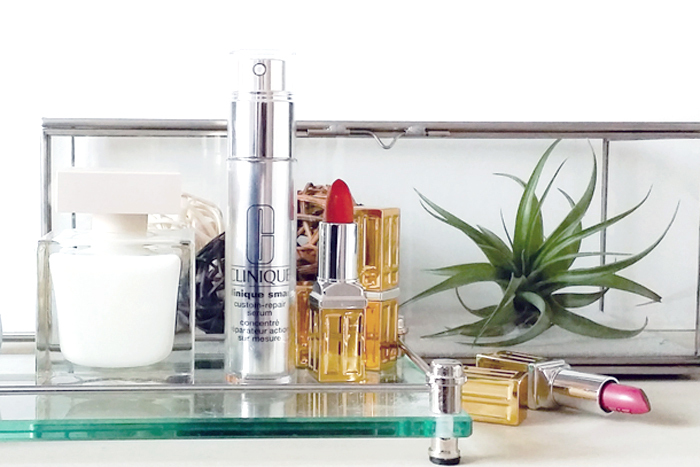 How much time do you spend on your daily beauty routine? I prefer one that requires the least amount of time as possible! I rarely have time to eat breakfast before heading out the door and often way too tired before bed to add extra steps in my beauty regimen. Therefore, all-in-one, multi-action products tend to be very attractive to me. As I stepped into my 30s, I’ve also expressed more interest in ‘taking care’ of my skin—in particular, fighting early signs of aging and sun damage. I honestly wish I had taken my mom’s advice, and started paying attention to my skin much earlier. 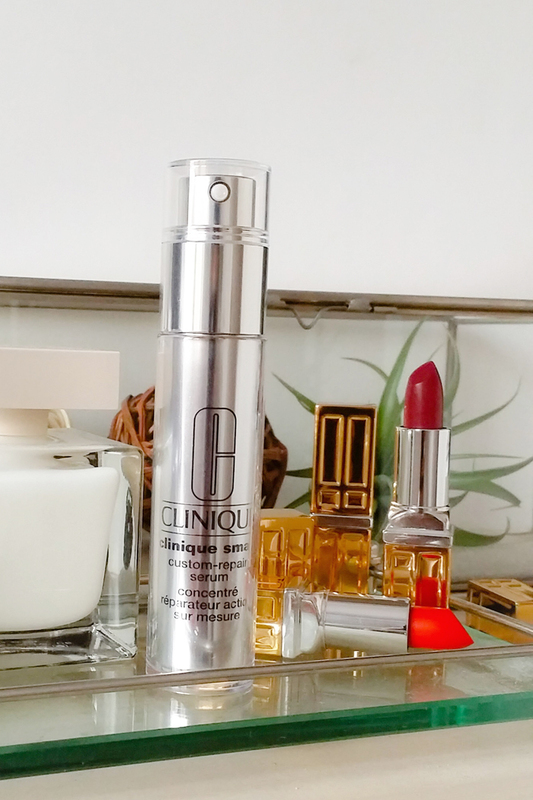 I am thrilled about the Clinique Smart Serum. Not only does the product deliver multiple actions (killing a few birds with one stone), but it is also a serum suitable for all ages (perfect for those of you who want to start early!). By applying two pumps of the Smart Serum over your neck and face twice daily, you will be hydrating your skin with soothing ingredients while directly repairing and treating uneven skin tone and dark spots. Are you aware that many forms of skin damage are not visible to the eye? 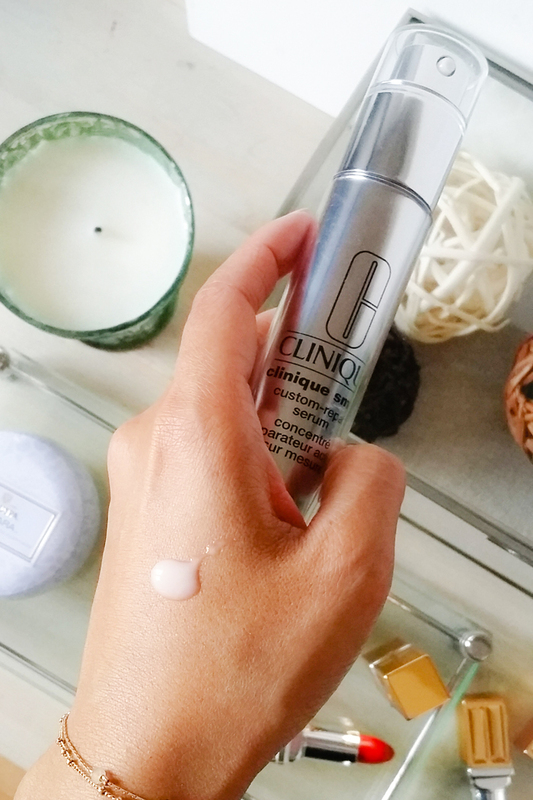 The Clinique Smart Serum will not only target and focus on visible imperfections, but also those that you can’t see. I began to use the Smart Serum one week ago, applying it twice daily (morning and night), followed by sunscreen in the morning. The texture of the serum is very silky and light, leaving a ‘barely-there’ sensation. I have the tendency to give up on my beauty products if I don’t experience immediate results. (I’m sure this resonates with you!) However, my recent experiences have taught me that good things will come with patience! Therefore, I am excited to study my before and after results following my full term of recommended usage (min. 12 weeks before seeing visible results). I’m curious to learn about your multi-action skincare products, or any thoughts on this smart serum. Leave me a comment if you wish!